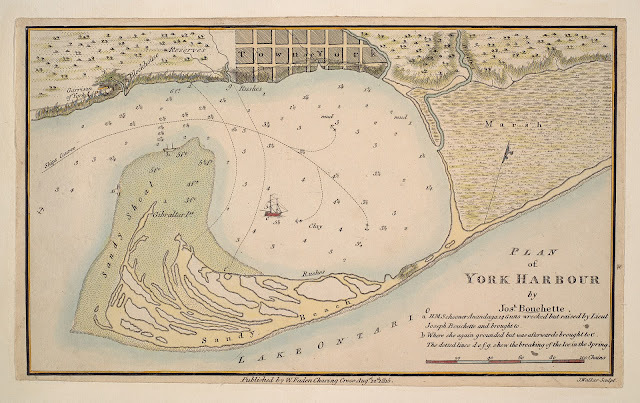 This was a plan of Toronto Harbour, one of several produced by Joseph Bouchette, showing the site of Toronto immediately before Lieutenant-Governor John Graves Simcoe arrived in 1793 to establish the new capital of Upper Canada, York. “It fell to my lot to make the first survey of York Harbour in 1793. Lieutenant-Governor the late Gen. Simcoe, who then resided at Navy Hall, Niagara, having formed extensive plans for the improvement of the colony, had resolved upon laying the foundations of a provincial capital. I was at that period in the naval service of the Lakes, and the survey of Toronto (York) Harbour was entrusted by his Excellency to my performance. I still distinctly recollect the untamed aspect which the country exhibited when first I entered the beautiful basin, which thus became the scene of my early hydrographical operations. Dense and trackless forests lined the margin of the lake and reflected their inverted images in its glassy surface. - Joseph Bouchette, The British Dominions in North America, 1831, V1, Quarto Ed. Click the image to view a full-size version (4 MB). 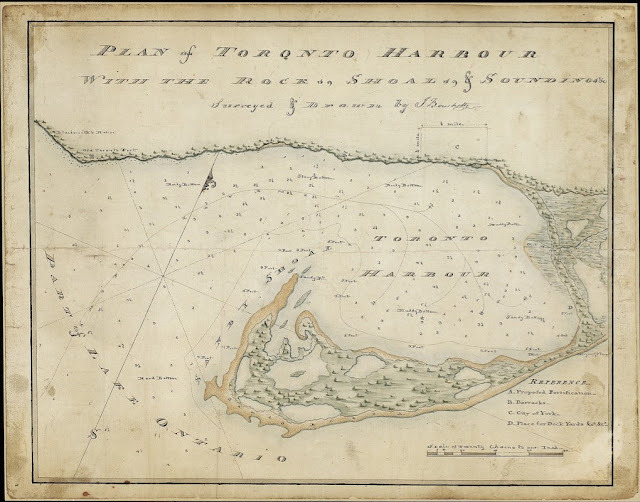 Plan of Toronto Harbour, With the Rocks, Shoals & Soundings Thereof, Surveyed & Drawn by Joseph Bouchette. 1792. Original image scan courtesy City of Toronto Archives: MT101. Large version liberated by W. Xavier Snelgrove. Bouchette’s work was key to opening up the bay to future navigators and lake captains -- the entry to Toronto harbour was difficult to navigate in Simcoe’s time. 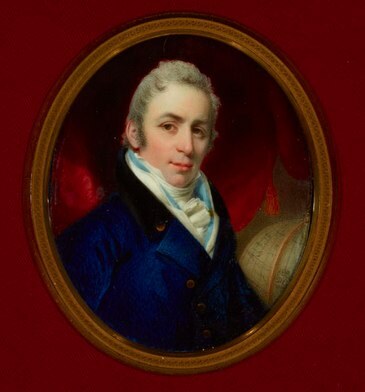 Bouchette would later go on to become Surveyor General. The above chart is the oldest item held by the City of Toronto Archives, and was donated some 75 years ago by a descendant of John Graves Simcoe. 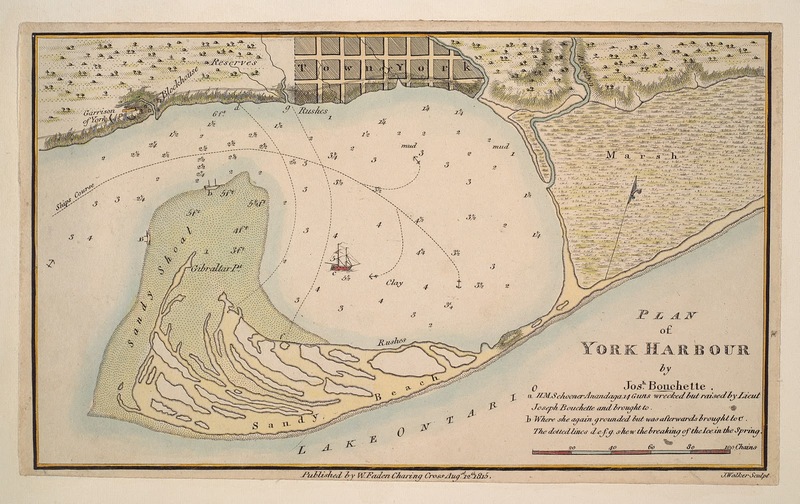 And lastly, compare below the 1797 Bouchette Plan of York Harbour - Courtesy TPL: T1815/fold. a. H.M. Schooner Anandaga 14 Guns wrecked but raised by Lieut. Joseph Bouchette and brought to b. where she again grounded but was afterwards brought to c. The dotted lines d.e.f.g. shew the breaking of the Ice in the Spring. Bouchette was promoted on May 12, 1794 to Second Lieutenant at the age of 20 as a result of his daring. The above map appeared in a book of Bouchette’s published in 1815. York is shown as it was around 1797. Bouchette’s text quoted above was used by Sarah Nind in her public art commission at the Harbourfront, Pine Cones. 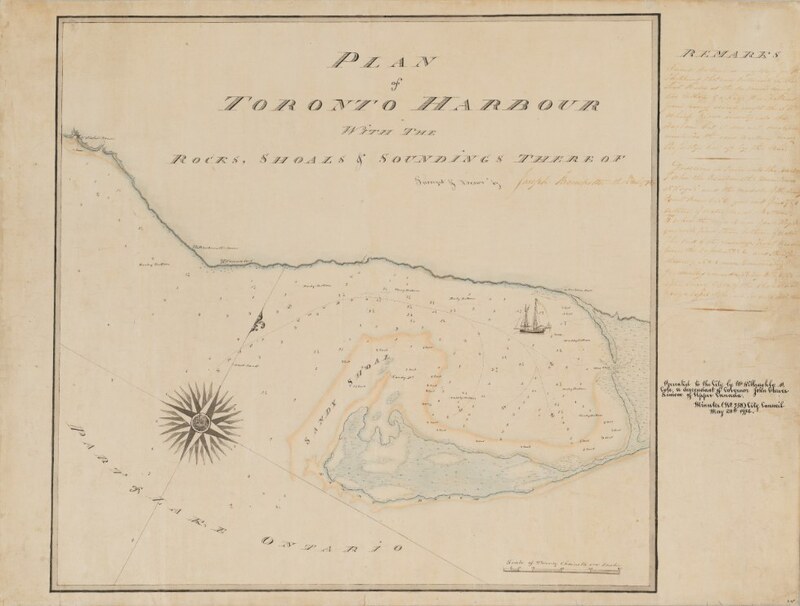 Another Toronto Harbour Plan by Aitken with soundings by Bouchette. 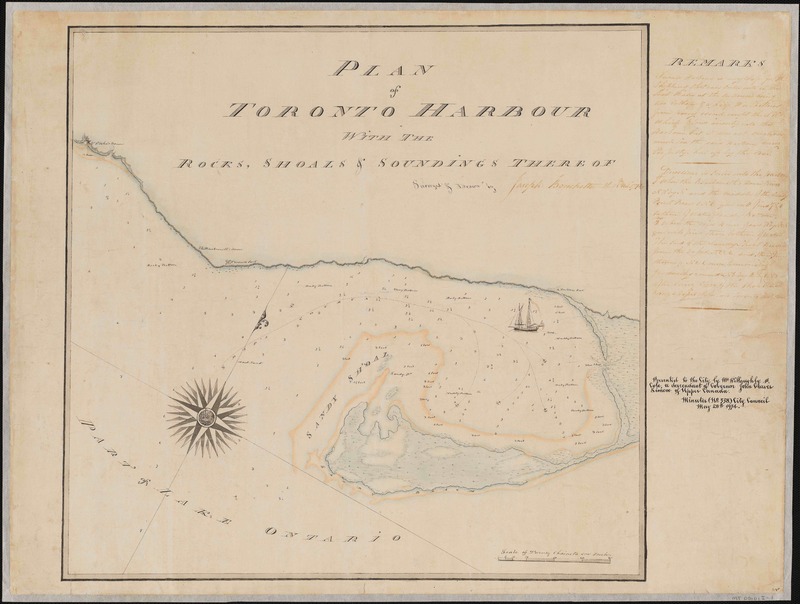 Complete List of Maps | Compiled by Nathan Ng | My other historical Toronto map projects: Fort York and Garrison Common Maps & Goad’s Atlas of Toronto—Online!.